A visit here requires none other than rushing ourselves to sit immediately and order one of those big size offerings from this legendary cafe’s kitchen. 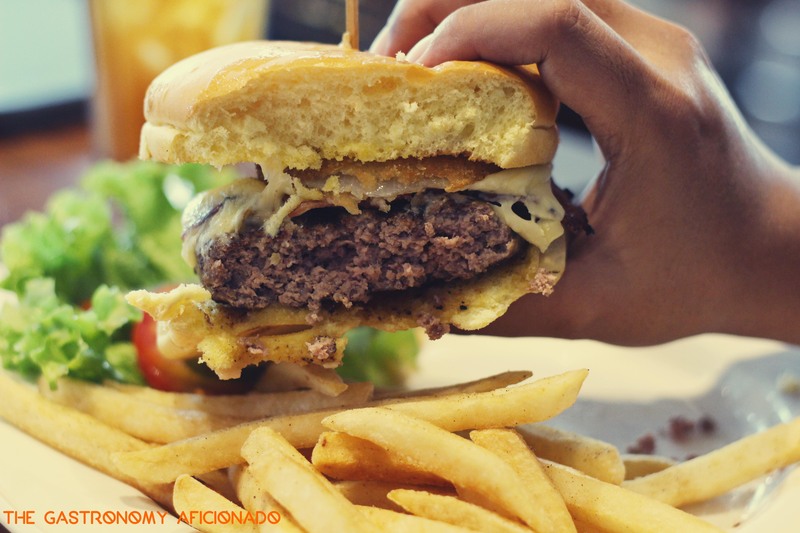 It’s always been a pleasure to enjoy their hickory-smoked barbecue beef from time to time but that one time, I made a decision to drown myself inside the goodness of Hard Rock Cafe’s Legendary Burger. The humongous size is one thing but to actually taste the perfectly grilled patty with crispy onion ring, cheddar cheese, and the usual veggies is more than you could ask. To actually indulge us, the burger was minimally equipped with sauce so that it never became a hindrance for me to really delve myself with the goodness of the meat. There was no barrier between us, just love and lust.